This website is dedicated to helping Payne’s customers better understand what we do and how we can help with all types of plant-related topics. We’ll start with a bit about who we are and our approach to growing and hope you will also read about our Locations, our Story, our Promise, What We Grow and all the ways we are doing our best to provide excellent goods and services. 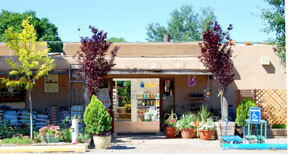 Payne’s Nurseries and Greenhouses has many employees whose primary responsibilities are to cultivate and tend plants (from seed or “starts”). These professional horticulturalists are well-versed in the many particular needs of the different plants we grow. We use a commercially prepared soil-less soil mix which we also make available to our customers. Our plants are generally fertilized twice or more per month and insect infestations are watched carefully. Our first line of defense against insects is to simply remove the plant: The plant is carefully placed in a plastic bag and then put in the dumpster. Our second line of defense is to spray prophylactically with an organic insecticide such as neem oil or insecticidal soap. We have many greenhouses and each one is best suited for a particular crop. Some greenhouses are built north to south and others East to West because light intensity differs accordingly thus affecting different crops. Some greenhouses are insulated better than others for the purpose of maintaining higher night temperatures for some crops. We carefully monitor our water, soil and nutrient concentration within the plant tissues by regularly sending samples into laboratories for in-depth analysis. If you have any questions or comments about our company, please contact us.